If you are doing an environmentally friendly life science research project, let us know! If you want to share efforts being made to save energy, prevent waste or use green chemistry, doing laboratory work... let us know! If you are facing local challenges to going green, let us know! The Labconscious web site is a place for all life scientists to connect on doing sustainable lab work. We are fortunate to be supported by New England Biolabs, a company with a deep cultural support for the natural environment. Therefore we never charge fees for publishing any posts on the site. It's a privilege to share the opportunities that scientists take for environmental and economic efficiency. Help us keep the momentum up for everyone! 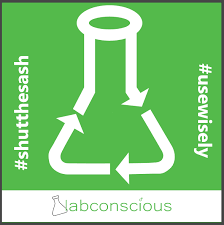 Please invite Labconscious to cover your sustainable lab work story! Best wishes on your scientific results!